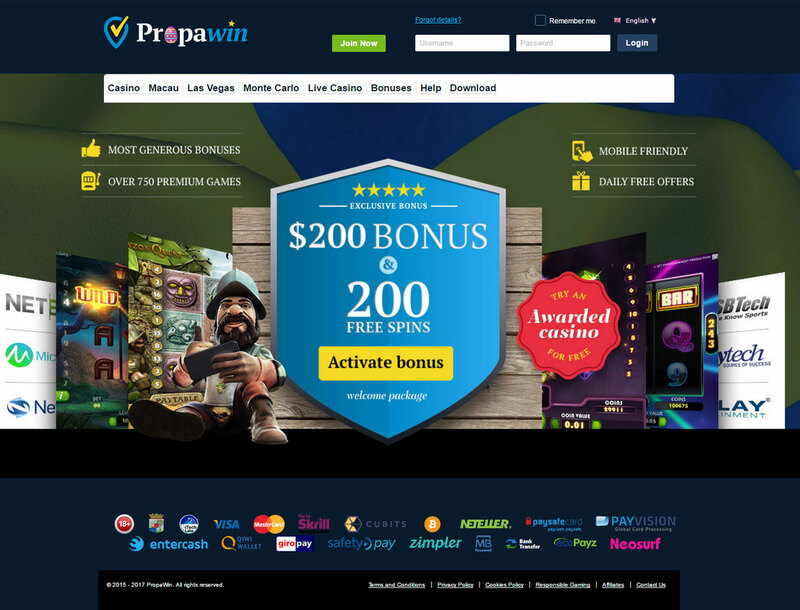 Propawin touts itself as the ‘proper place to win’. Thanks to the amazing number of slot games and promotions, the casino definitely deserves the title. 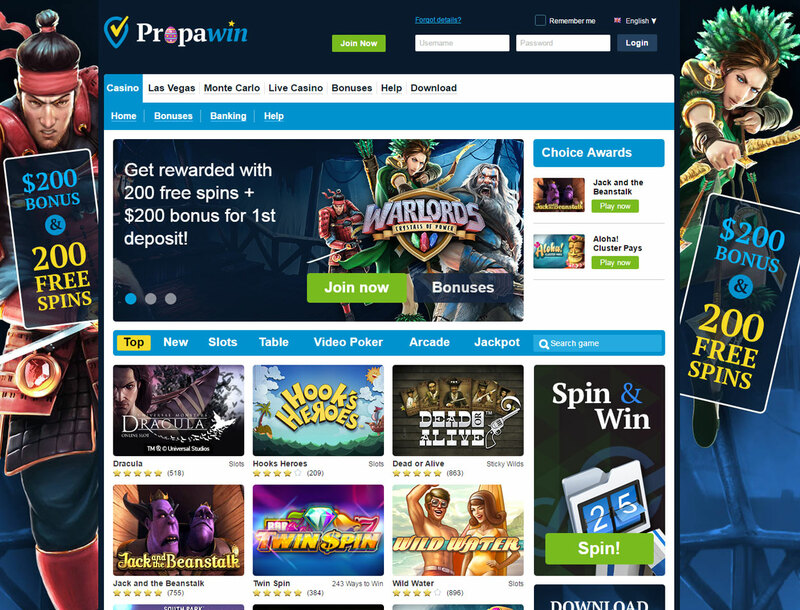 You can see for yourself why Propawin is worth a visit with this Bitcoin slots review. Propawin is running on a 1ClickGames platform. The platform lets the casino hosts an amazing amount of slot games from many of the leading makers like NetEnt and Playtech. There is an incredible variety of games that you can choose on your visit. You have many five reels slots that offer colorful graphics and interesting features like the sticky wild symbol. There are also the classic three reel slots that let you experience the essence of slot machines. 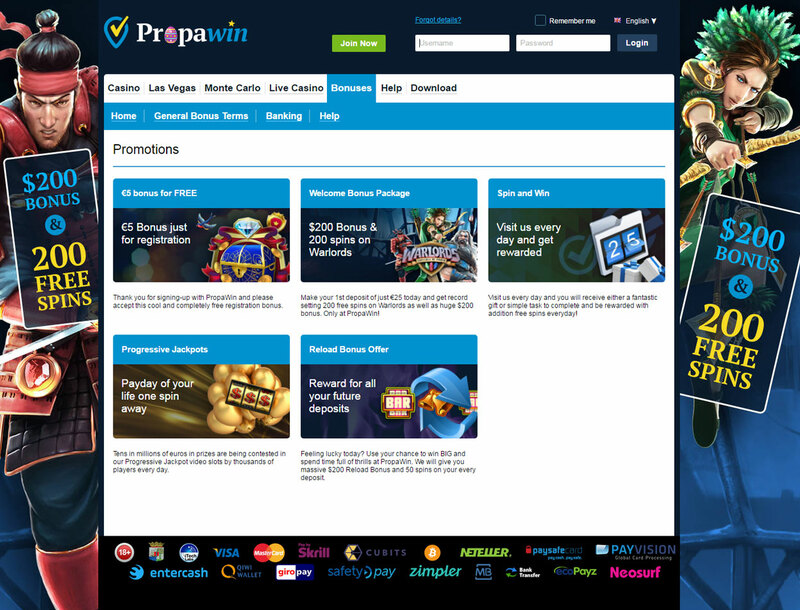 There are three ways you can play any of the games on Propawin. One of which is with a casino program that you get from the site and install. If you want to dive straight into the action, there is also the instant mode where you can play the games on the browser. Mobile device owners are not left out. You can play slots in this casino on a smart phone while riding a bus. The fun starts right away as soon as you sign up to Propawin. You will get a €5 bonus without making any deposit. Just use the code PROPA2017 in the ‘Coupons’ part of the site. You can take out this bonus out if you can bet the amount about 80 times in qualifying games. You also need to deposit at least $10 and have wagered the amount at least one time. You are also entitled to a welcome bonus package that will give you a 200% bonus of up to €200 as well as 200 free spins for the Warlords slot game. To get the free spins, get in touch with a support staff and send them the code WPROD if you are on a desktop computer or WPROM if you are on mobile. The free spins winning and deposit has a wagering requirement of 29 times the amount. Meeting this requirement will allow you to take out the free currency. 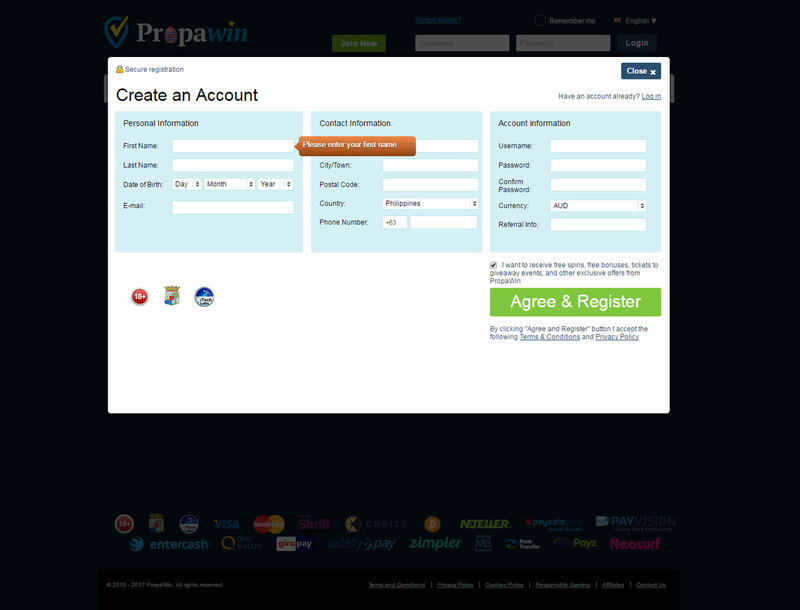 Propawin uses the Cubits service which lets you deposit your Bitcoin directly to your account. The smallest amount you can bring into the slots casino is €10. You can also send your bankroll to a Bitcoin wallet from the casino. The lowest amount you can withdraw is €25. The casino has a live chat support via Kayako that lets you talk to a support staff when you need help. You can also use the website’s support ticket system and email support address if you need another way to reach the support team.